We have been running this popular event for several Christmas seasons with great success. You still get all the amazing value of our inclusive package with your meal, beverages & DJ though added to this is live entertainment & costumes for your guests. A brilliant night out. Meal – Our popular Medieval Feast buffet meal. Live Entertainment – Our medieval actors entertain you with sword fighting, games and interaction with guests. At Markovina Estate we have the perfect venue, amazing food, a great beverage package and DJ to ensure your event is a success. We will continue to use Markovina for our functions as the staff always make us feel welcome and go above and beyond what is required every year. I just wanted to pass on my thanks to yourself and your team! The night was a brilliant success, the food was AMAZING, and the hospitality was second to none. We had a fabulous night, great food, awesome music and what a wonderful venue you have, our staff couldn't speak any more highly of what a great time they all had! Such a wonderful event on Saturday, I have had nothing but good feedback in response to the dinner, venue and DJ. Please pass our appreciation onto Rina who took such great care of us on the night. They put on a great night, with an awesome theme and wonderful atmosphere. The food is always exceptional quality. Our sincere thanks for such an excellent hosting of our end of year Christmas function. The service offered by all staff was extremely warm, friendly, helpful and professional. The entire catered lunch was very well received and there were many positive comments from staff who made special mention of the variety and quality of food offered to us. Thank you for a fabulous night on Saturday night. The team had a blast and are still buzzing. Well done . Everything was just amazing – bus, venue, service, music, food. Tell us about the event you are looking at having and we can send you more information including costs for an event with us. 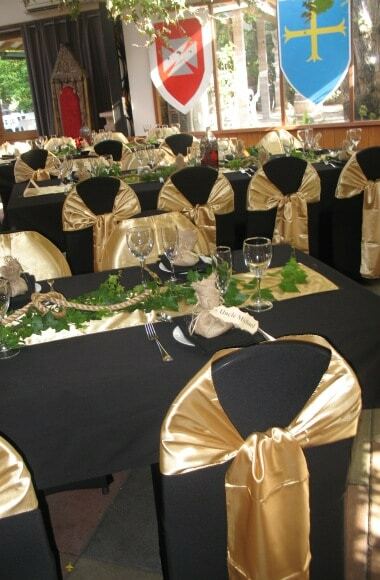 You can also select if you would prefer to visit our venue to have a meeting with us about your upcoming event. Contact us on (09) 412 8608 or send an enquiry through this form.